Drone footage taken during the installation of the prefabricated shipping containers that became a Media Lab at Bard College. This project was designed by MB Architecture and installed in 4 hours. Drone footage by Chris Iverson. Maziar Behrooz and Bruce Engel present a Vision Plan for the Village of East Hampton to its Mayor and Trustees. Maziar Behrooz presents the Sayres House & Hanging Gardens on Open House, NBC TV. A clip from Architectural Sessions VI: Fix this Town! At the Parrish Art Museum. Maziar's guests were Felipe Correa (Harvard GSD), and Jay Schneiderman (Suffolk County Legislator), and David Rattray (editor of East Hampton Star). Sayres House & Hanging Gardens featured on Extreme Homes/HGTV -starting at 2 minutes into the video. 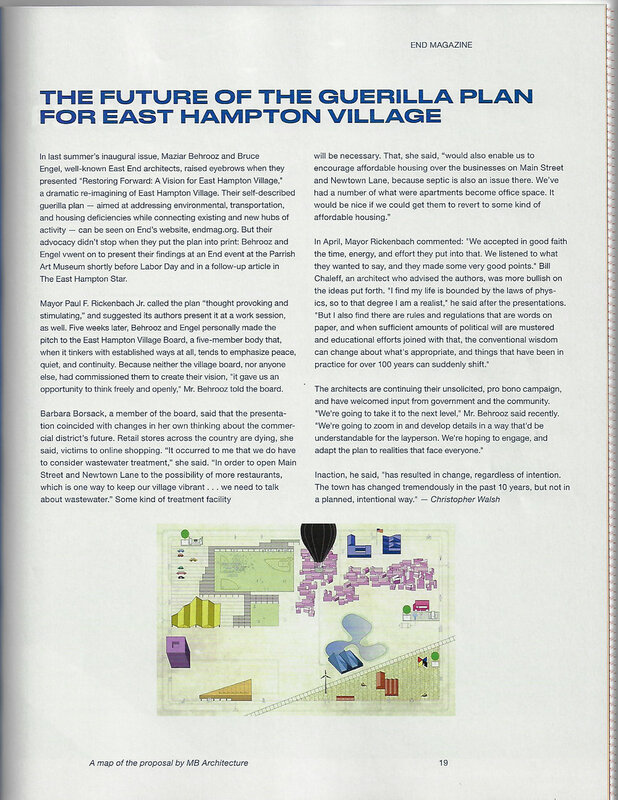 The Future of the Guerilla Plan for East Hampton Village. Container Studio featured as building of the week on World-Architects. Container Studio featured on Dezeen, May 31, 2010....as well as apartmenttherapy.com, inhabitat.com, treehugger.com, noticias.arq.com.mx, mocoloco.com, jetsongreen.com and hundreds of design, architecture & sustainability websites from around the world. Container Studio featured on ArchDaily, May 19, 2010. Container Studio featured on ArchNow, May 17, 2010. Video segment of Container Studio and our client, Andrea Shapiro, on Babelgum. Container Studio among featured projects on Architizer and displayed on its cover global map, May 14, 2010. Bielak, Andrew. “Montauk sees a roof go green”. The East Hampton Press. August 15, 2007. Salomon, Evie. “Montauk Gets Its First Green Roof In Its Entire History”. The Montauk Pioneer. August 10, 2007. 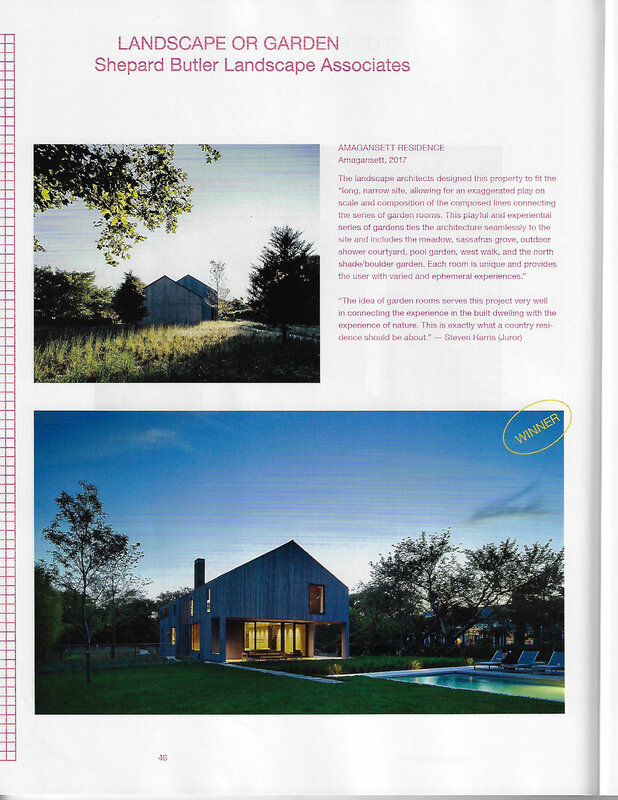 “AIA Peconic Hands Out Design Awards”. The East Hampton Press. August 8, 2007. King-Hoge, Sharon. 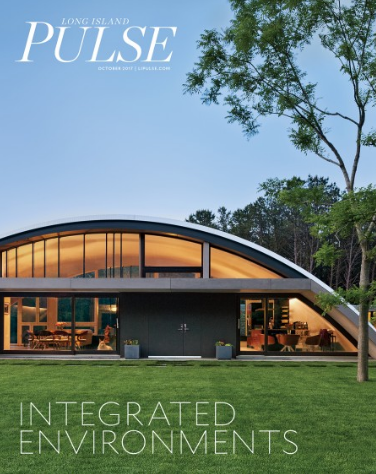 “Point of Departure: A Gallery Owner Commissions an Environmentally Sensitive ‘Airplane Hangar’ Home”. Hamptons Cottages and Gardens. June 15, 2007. King-Hoge, Sharon. “The Heart of the Matter”. Hamptons Cottages and Gardens. August 15, 2007. Behrooz, Maziar. “Romantic Modernist: The Life and Work of Norman Jaffe, Architect”. The East Hampton Star. February 16, 2006. Cummings, Mary. “High End Architecture by Homegrown Architects”. The Southampton Press. September 29, 2005. “Criticism Wide-Ranging: Architects, Lawyers Find Flaws in New Town Plan”. The East Hampton Star. December 23, 2004. Rattray, David. “Mast Head”. The East Hampton Star. November 18, 2004. Pilgrim, Joanne. “New Comprehensive Plan: Was That Grade an ‘A’ or an ‘F’?”. The East Hampton Star. November 11, 2004. Broberg, Erica. “Foundations”. The East Hampton Star. September 4, 2004. Donelson, Sophie. 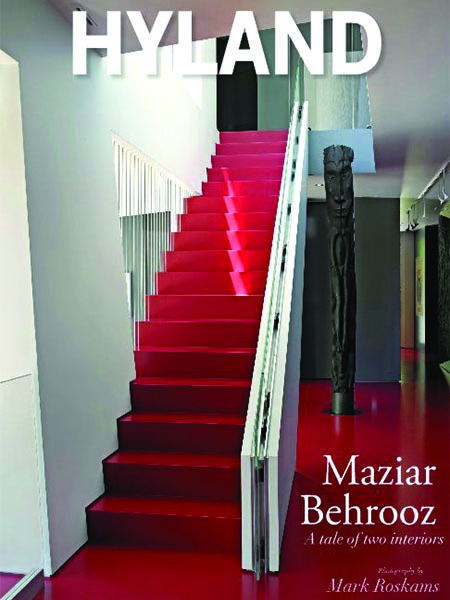 “Meet the Architect: Maziar Behrooz”. Hamptons Cottages and Gardens. July 1-15, 2004. Rosenbaum, Susan. “Applying ‘Regenerative Design’: Architects Study New Approach to East Hampton Town Planning”. The East Hampton Star. February 26, 2004. “Re-Thinking the Built Environment”. The East Hampton Star. March 11, 2003. Behrooz, Maziar. “Diary of an Architect”. 27 East Magazine. August 10, 2000. Caruso, Valerie. “Advice from the Pros”. House Beautiful Home Building. Spring/Summer, 2000. “Easy and Elegant”. House Beautiful Kitchens & Baths. Spring, 2000. Behrooz, Maziar. “A Free City for Us”. Typographica. May 1989.